The Cuyahoga Valley Career Center School Board is a policy-making body and is legally responsible for the educational functions of the school district. The School Board formulates operating policies concerning the employment of all personnel, educational programs, district finance, building programs, instructional materials, and public relations. Our board is comprised of delegates from each of our eight associate school districts plus a rotating member from one district, eliminating the possibility of a tie vote. The School Board desires to be responsive to the needs and concerns of community members. Questions or concerns from the community should be directed to the Superintendent or School Board President. You can reach the Board of Education president, James Gilbride, by sending an email to jgilbride@cvccworks.edu; or the superintendent, Dave Mangas, at DMangas@cvccworks.edu. The School Board meets once a month, typically on the last Thursday of the month, at 6:30 PM. Parents and residents are cordially invited to attend school board meetings. 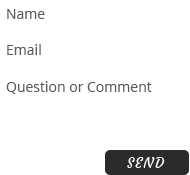 Click here for meeting dates. Members serving for 2019 include Board President, James Gilbride, Brecksville-Broadview Heights; Board Vice President, Gary Suchocki, Cuyahoga Heights; Chris Kitson, Garfield Heights; Anita Juby, Garfield Heights (Rotating Member); Russell Fortlage, Independence; James Virost, Nordonia Hills; Jacquelyn Arendt, North Royalton; Claudia Hower, Revere; and Mark Curtis, Twinsburg. About Mr. James Gilbride: Mr. Gilbride is a successful business executive and entrepreneur. He has built several companies, and worked in a variety of organizations from start-ups to large corporations. Currently Jim is Area President for FocusCFO which provides fractional CFO services to middle market businesses throughout Northeast Ohio. In this role, Jim provides business leaders with hands-on resources and strategic guidance to help them reach their business and personal goals. 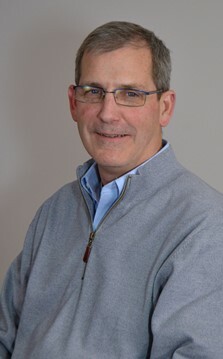 In addition to FocusCFO, Jim is a Mentor with Jumpstart's Burton D. Morgan Mentoring program, active in the Medina county Economic Development Corp, and is also a member of the Greater Akron Chamber. Jim holds BS degrees in Finance and Marketing from The Ohio State University in Columbus, Ohio. He and his wife, Paula, are 20-year residents of the school district and have three sons, Jackson, Troy, and Joe. 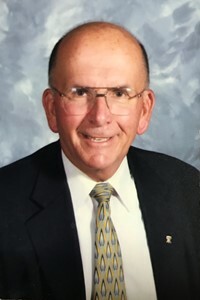 About Mr. Gary Suchocki: The Suchocki family has been part of Cuyahoga Heights Schools for many years dating back to the very beginning when his mother, Geraldine Kreger, entered CHHS in 1938 as a freshman. During the past 30 years, Gary and his wife Kathy have been quite active in the Cuyahoga Heights schools. Gary served on multiple financial and levy committees from 1985 through 2011. He also participated in the community plays, assisted with student music recitals, and was a guest instructor for the enrichment program. Gary has a B.A. in Mathematics Education from John Carroll and a M.Ed. in Educational Media from Kent State. He has spent 11 years in secondary and adult education. 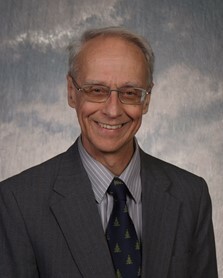 In 2014, Gary retired after a career of 31 years in various technical and management positions in Information Technology and Human Resources. Gary has served as a church musician since 1975. He has been involved with the Boy Scouts for over 50 years, including volunteering as Chairman of Pack 28 and Scoutmaster of Troop 28.He has been active in the Brooklyn Heights Men's Service Club since 1993, and served as its president for six years. He led the effort to establish the 501 (c)(3) Brooklyn Heights Service Clubs organization and held the position of president from 1995 through 2002. He was elected to Brooklyn Heigths council in 1997, a position he held for eight years. 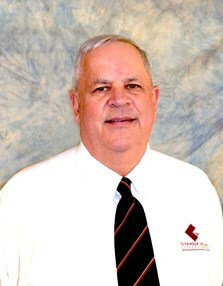 Gary has been a member of the Cuyahoga Heights Board since January 2012 and is serving his second four-year term. He is currently their Board's President and is a member of various committees. About Mrs. Chris Kitson: Mrs. Kitson has served on the Garfield Heights Board of Education since 2006, having served as Vice-President and, presently, the Student Achievement Liaison. Mrs. Kitson is a registered nurse and attended the Cleveland Metropolitan General Hospital School of Nursing. Recently, she obtained her bachelor's degree in nursing from Ohio University. 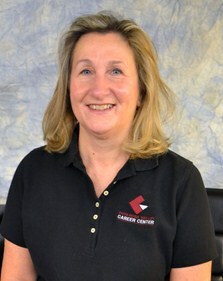 Mrs. Kitson has worked in the ICU and medical-surgical areas as a staff nurse and also as a medical coder. 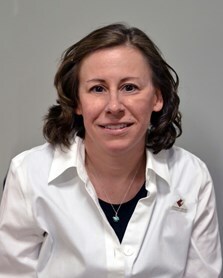 She is employed by Permedion, an HMS Company, as a nurse reviewer for government health care contracts throughout the U.S. Also, she is a member of the American Nurses Association and the American Health Information Management Association. Chris has been involved with the Garfield Heights PTA and GHHS Music Boosters and is a recipient of the Ohio PTA State Achievement Award. She is a member of Garfield Heights Kiwanis Club as well as the Garfield Heights Democratic Club P.A.C. Chris also serves on CVCC's Health Career's Advisory Committee. Chris is married to Scott Kitson, a life-long Garfield Heights resident and a past member of CVCC's Board of Education. The Kitsons have two children, Amanda and James. They are both Garfield Heights High School graduates and attend University of Toledo. About Mrs. Juby: Mrs. Anita B. Juby is a retired international technical business manager. She had 30 years of experience at Avery Dennison working in research and development, product management and quality management. Anita has a Bachelor of Science Chemical Engineering from Cleveland State University and Masters of Business Administration from Baldwin Wallace. She was also a certified Quality Engineer. Her volunteer activities include: member of the CVCC Community Financial Advisory Board 2017-2018, past president and treasurer of the Garfield High School Athletic Booster Club for over 20 years, and Garfield Heights City Charter Review Chairman. She is a life-long resident of Garfield Heights, has three children (all Garfield Heights High School graduates) with husband Joseph M. Juby and has eight grandchildren. About Mr. Fortlage: A retired commercial banker, Russell Fortlage is a Director of Independence BancCorp, a member of the Independence High School Athletic Hall of Fame Committee, and a member of the IHS Alumni Club. Russ served on the Independence Board of Education for 36 years, including 15 years as Board President. He was a member of the CVCC Community Finance Committee from 2010 through 2017. He attended Bowling Green State University, The National Commercial Lending Graduate School in Norman, OK, and the Graduate School of Banking at the University of Wisconsin. He is a lifelong resident of Independence. About Mr. Jim Virost: Mr. Virost worked his way up from auditor at the public accounting firm, Arthur Young & Company, to Controller at Atlas Copco Jarva, MB Dynamics, and The Robbins Company. At The Robbins Company, he advanced to Secretary/Treasurer and retired from there as Chief Financial Officer in 2010. He is a graduate of Benedictine High School and earned his BBA Accounting from Cleveland State University. He is a Veteran and served as an Infantry 1st Lieutenant at DMZ in Korea. Jim's volunteer activities include being Treasurer and Member of Board of Trustees of the Cuyahoga Valley Scenic Railroad, Treasurer and Member of Board of Directors at Hattie Larlham Community Services, Member and Chairman of Sagamore Hills Board of Zoning Appeals, President of the Western Reserve Community Band, and Member of Nordonia Hills City Schools Board of Education. Jim and his wife of 39 years are long time members of the Nordonia Hills community.They have three daughters, Stephanie, Theresa, and Sarah - all graduates of Nordonia Hills High School and MAC Universities. They have twin grandsons who are two years old and two granddaughters, ages 5 and 7. 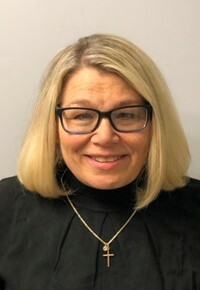 About Ms. Jackie Arendt: The North Royalton Board of Education has appointed Jackie Arendt as its new representative to Cuyahoga Valley Career Center school board. Jackie and husband, David, have raised four daughters, all graduates of North Royalton High School. Jackie is a 1982 graduate of North Royalton and holds a Bachelors' Degree and Master's Degree in Sociology. She teaches courses at Tri-C and when needed at several other local universities. Jackie has served as a president, chairperson and trustee for NRAGT and NREF. She has been active in PTA for over twenty years serving on dozens of committees, as committee chairperson, and several officer positions. Jackie currently serves as the Director of Advocacy on Ohio PTA's Board, National PTA's Federal Legislative Committee, Ohio Department of Education Committee of Practitioners, and several other state organizations. Jackie was the recipient of the Ohio PTA State Achievement Award in 2003 and Cleveland State University's Sociology Department Distinguished Student Award in 2006. About Mrs. Claudia Hower: Mrs. Hower is a retired 30-year math teacher, having taught math for 20 years in Revere. While teaching at Revere, she was head of the mathematics department and the mathematics league advisor. As a teacher, she served on the Superintendent's Advisory Committee and Curriculum Council. 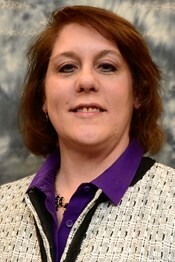 Mrs. Hower is in her fourth year of service on the Revere Local School Board and served as president last school year. Last year was her first year on CVCC's Board of Education; she served on the curriculum committee. Claudia has a B.A. in Mathematics from Kent State University and a Masters of Education as a Math Clinician at Kent State University. About Mr. Mark Curtis: Mr. Curtis has been a resident of the city of Twinsburg for 13 years and is a current member of Twinsburg City School District's Board of Education. He is employed as a coordinator at the Educational Service Center (ESC) of Cuyahoga County under the auspices of the Ohio State System of support known as State Support Team (SST) for Region 3 (Cuyahoga County). His areas of concentration include community schools liaison, EMIS support, data analysis, and special education and online learning. He is also trained in the Ohio School Diagnostic Review process and is a member of the ODE State Diagnostic Team. Mark has worked with school districts and community schools in special education services coordination, compliance and supervision, as well as data reporting for compliance and funding. Prior to joining the Educational Service Center, Mark served as Director of Student Services for the Nexstep Group supervising school psychologists in five states. Prior to that, he served as Director of Administration and Accountability for a Department of Labor contractor operating education and training facilities around the country, and Director of Student Administrative Services for the Cleveland Metropolitan School District. He has also worked in higher education administration in the areas of admissions, financial aid, and academic and career counseling. Mark graduated from Otterbein College in 1991 with a Bachelor of Arts in Speech Communication. He received his Master of Arts in Interdisciplinary Studies from Hiram College in 2007. Mark and his wife, Dianne, have two children, Taylor and Manny. He enjoys golf, bowling, and spending time with his family.